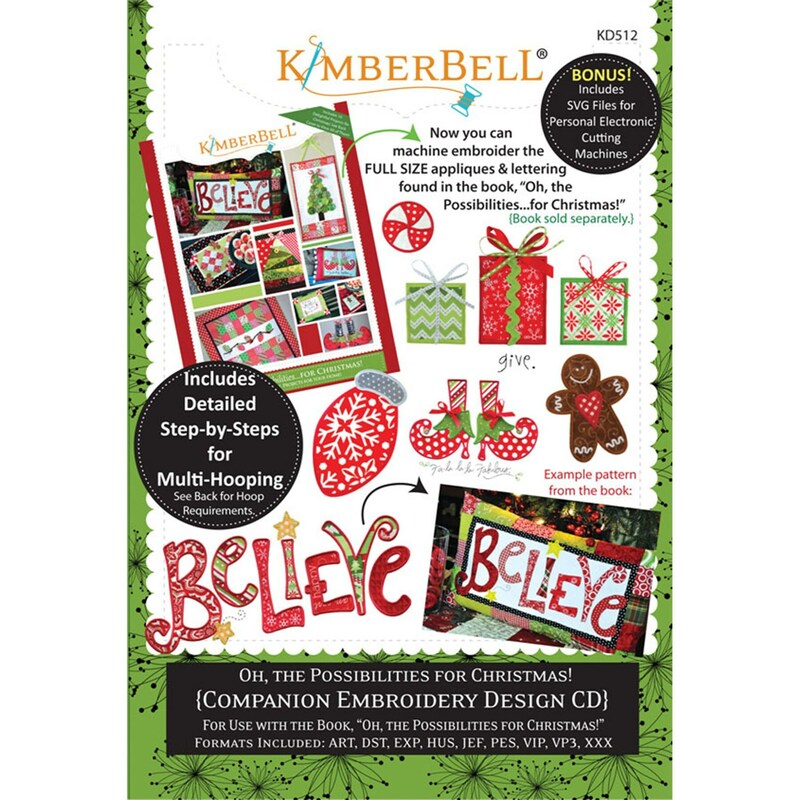 Now you can MACHINE EMBROIDER all of the full-size appliqué and lettering designs from the book, Oh, the Possibilities for Christmas! (book sold separately) All designs will finish at the large sizes seen in the book, through single or multi-hoopings. Each have been specially digitized for EASY placement on the projects! Includes DETAILED step-by step instructions for multi-hooping. Several hooping options are available all on one CD! 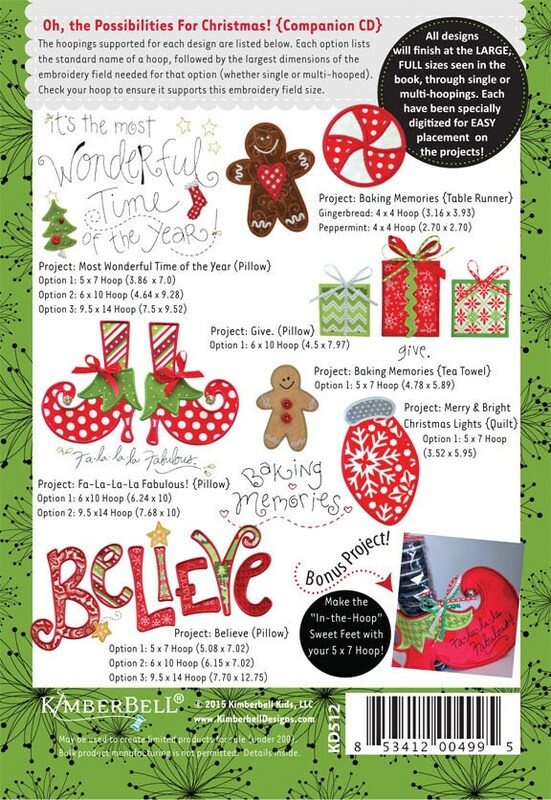 Also included are SVG files for use with electronic cutting machines! View the photo on the back cover of CD for hoop size options and machine embroidery fields needed.